After a few choice tidbits of “this is probably happening,” it is definitely happening. Resonance of Fate is coming back, in the form of Resonance of Fate 4K/HD Edition. Developer tr-Ace, known most perhaps for the Star Ocean series, is putting this Sega-published cult classic on the PlayStation 4 and the PC in October 2018. Here is a Resonance of Fate 4K/HD Edition trailer. 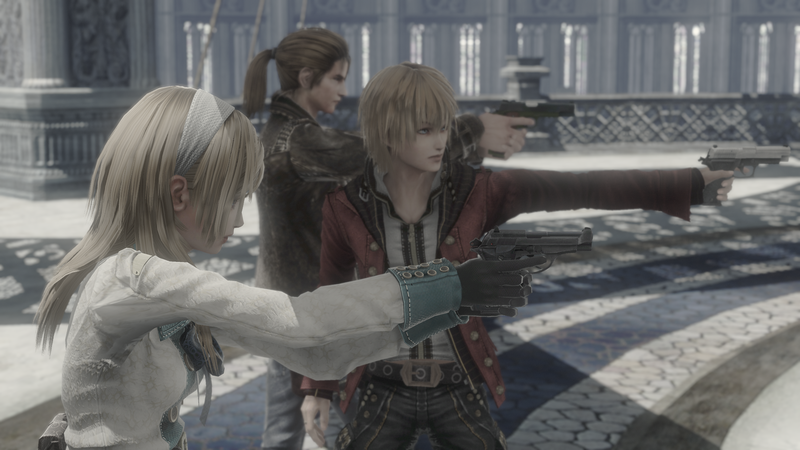 Buying Resonance of Fate 4K/HD Edition for the PlayStation 4 will come with themes and avatar sets, and the game will be available for digital preorder starting today, according to a press release from tri-Ace. The Steam edition doesn’t have bonuses, but it does have relevant features like trading cards. Originally published by Sega for the PlayStation 3 and Xbox 360 in 2010, Resonance of Fate is best known for its hybrid real-time/turn-based combat and extensive customization options centered around various guns used by the playable characters. Ahead of the 2018 Tokyo Game Show, word of Resonance of Fate possibly being remastered came from a classification sighting from the German ratings body. In addition, a series of Twitter accounts back from the early days of Twitter marketing, which are role play accounts for the game’s protagonists, came back to life. They suddenly started tweeting again after nearly ten years of inactivity, which was a fun way to get the fans buzzing. Resonance of Fate 4K/HD Edition launches on October 18, 2018 for the PlayStation 4 and the PC.